As Year 2 comes to a close and the trap meta formally known as Operation White Noise makes its departure, Ubisoft Montreal gears up for the future, preparing for another year of fresh, game-changing content for Tom Clancy’s Rainbow Six Siege. Year 3 will bring eight new operators, three new maps, and one new game mode, along with consistent patches and quality-of-life improvements. Season 1, also known as Operation Chimera, will introduce two new operators and quarantine and biohazard specialists hailing from France and Russia. It is rumored that these new operators will be exceptionally useful during the early drone phase, and many hope they will help deal with the heavy emphasis on traps that Operation White Noise brought about. In conjunction with these biohazard-themed operators, a new co-operative game mode will be released called Outbreak. 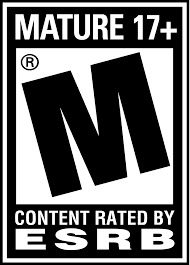 This will be the first major co-op event introduced to the game, aside from the very limited PvE Terrorist Hunt. Outbreak will offer players exotic cosmetic items, only available during the event, which will run for 4 weeks, and be free-of-charge for those who already own Siege. Season 2 will be less exciting, and more of a traditional Siege update. 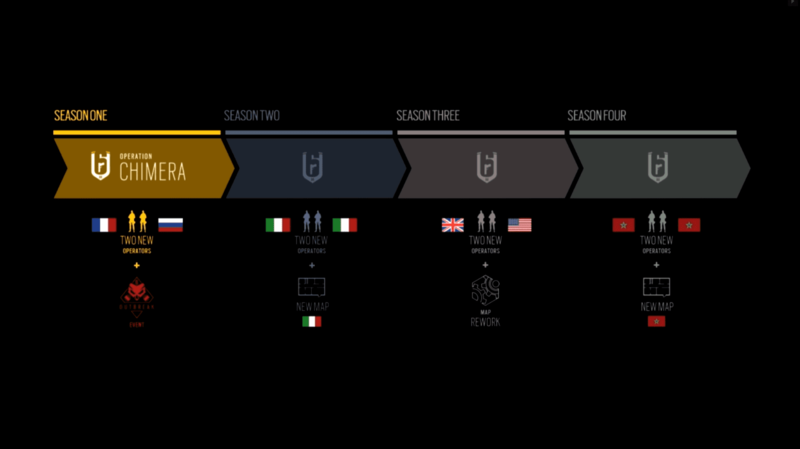 Two new Italian operators will be added to the mix, along with a new map, appropriately located in Italy. Closing out the year with Season 4, fans can expect another traditional update. Two new operators from Moroccan GIGR will join the fight and a new map, located in Morocco, will be introduced. As these changes won’t come for some time (expect early 2018) and Operation Chimera is nothing but veiled rumors, Ubisoft gave fans something solid to look forward to: a mysterious ARG. I’ll leave that for you to explore on your own. Until Operation Chimera drops in 2018, I’ll be finishing out the year with White Noise, having fun with Dokkaebi’s Logic Bomb, and hoping that someday ranked will finally come out of beta. Stay psyched for another year of Siege, because Ubisoft isn’t giving up the fight. They’re giving more and more to their game, and their community, with each passing day.